Bhutan is a landlocked kingdom to the north of Bangladesh in India, high in the Himalayas, bordered by Tibet and China. It was conquered in the 9th century by Tibet until its southern part was annexed by British India in the mid 19th century. In 1907 it was established as a hereditary monarchy and from 1910 was under British control of its external affairs, this changed to the protection of India in 1949, and Bhutan became a member of the United Nations in 1971. Its capital is Thimphu. Its first coins were issued after 1789 as copies of the previously circulating coins of Cooch Behar, using debs or half rupees. 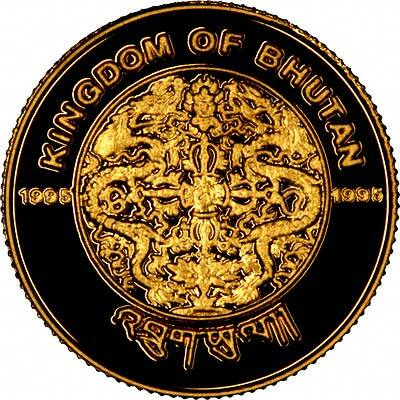 Bhutan adopted a modern decimal coinage system in 1928 based on rupees and pice or paisa and sertums. This was reformed in 1974 using chetrums and ngultrums. Much of the economy is rural and agricultural, and much of its commerce is conducted using barter rather than money. 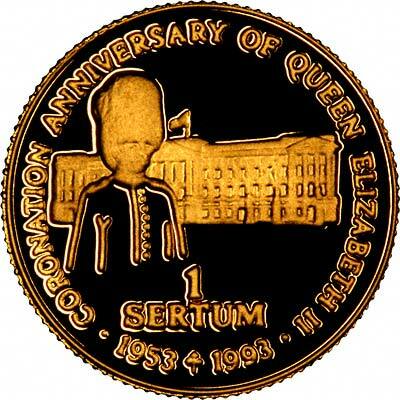 The 1995 One Sertum was marketed, inter alia, as part of "The Precious Fine Gold Collection". 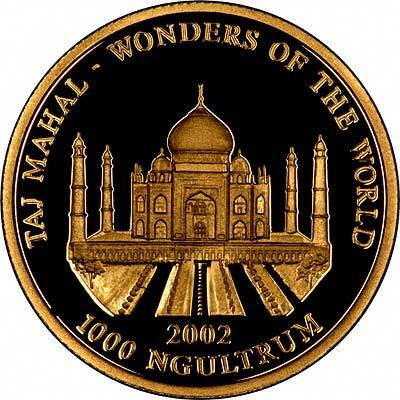 The certificate for the 2002 Wonders of the World coin states it to have been minted by B. H. Mayer's Mint (Kunstpraegeanstadt) in Germany. It is likely that some of the other Bhutanese gold proof coins could also have been struck at the same mint. 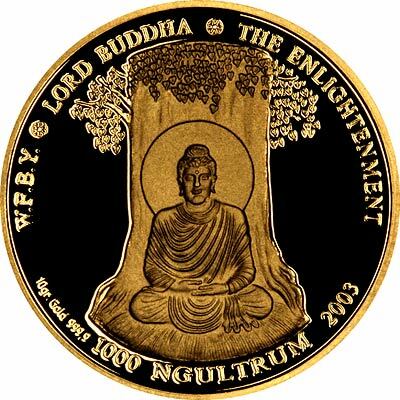 We make an active market in almost all world coins, gold or otherwise, including Bhutan (Bhutanese) gold coins. If you have any of these coins to sell, please contact us, or post them to us for appraisal and offer. 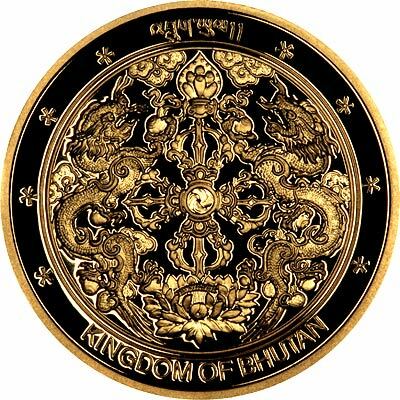 For silver and base metal coins of Bhutan, please look at our original Chard Coins website.